Back by popular demand Marty Minutes. 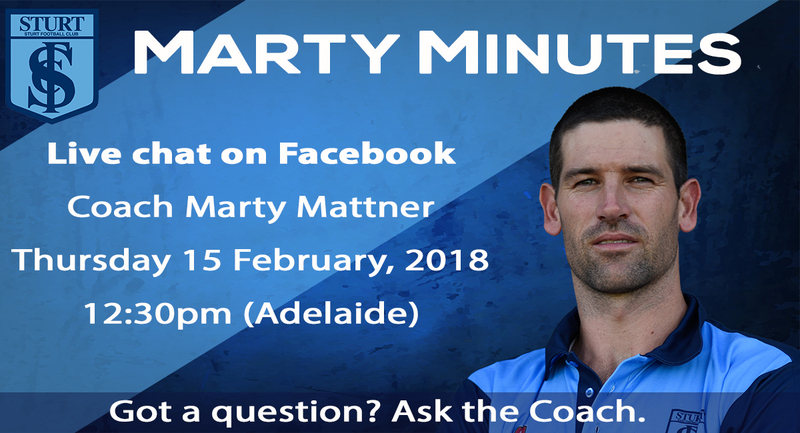 Live chat with Head Coach Marty this Thursday and ask any pressing Sturt related questions you have. See you facebook!